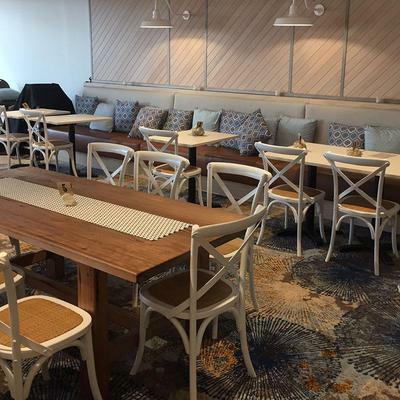 Brintons worked closely with the team at Jackson Teece in Sydney to produce an exceptional woven Axminster flooring solution for Club Sapphire in Merimbula, New South Wales, Australia. Club Sapphire is a bowling club and entertainment venue located in the heart of Merimbula on the Sapphire Coast. It offers patrons and guests a broad range of facilities, including its new Rockpool restaurant. 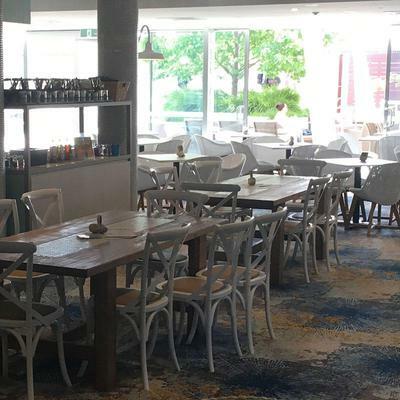 Interior design firm, Jackson Teece, sought a simple yet sophisticated design for the refurbishment, to reflect the club's identity and vibrant character. The result is striking. 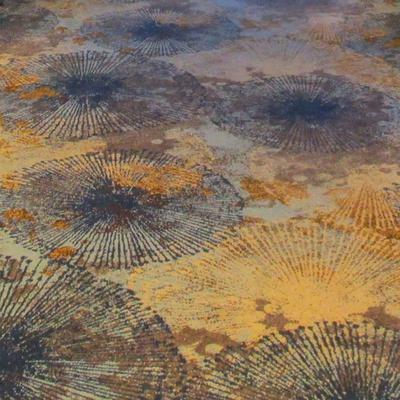 Inspired by the sea, the teams at Jackson Teece and Brintons developed a stunning, layered design for the floor, brought to life using the beautiful colours of the Sapphire Coast. Light, bright and extremely comfortable underfoot, the high performance woven carpet creates a delightful backdrop to the club’s refreshed interior. 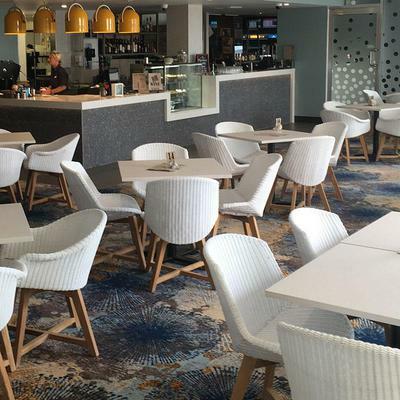 Brintons produced the carpet for Merimbula Bowls Club refurbishment including the new Rockpool cafe. We worked with them to develop the design and custom colourways to suit the new coastal scheme. 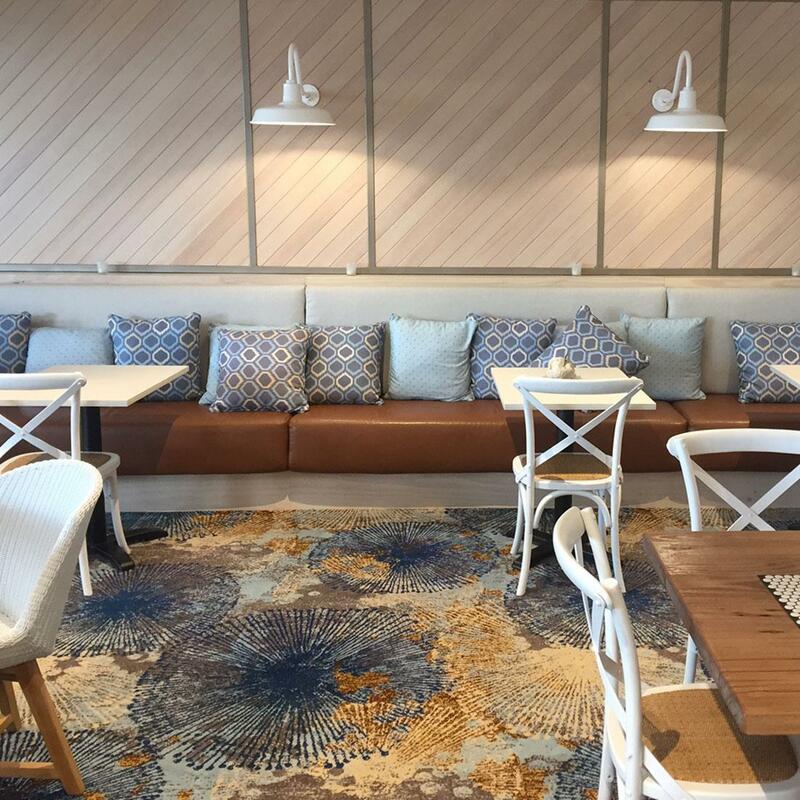 Merimbula is renowned for its rock pools and oysters, so we chose this as the direction for the carpet, and brought the vibrant Sapphire Coast colours into the design. Both the client and restaurant patrons are thrilled with the result!